Walking your dog should be fun, for you and your pet. Harnesses built for more colossal canines may not be as comfortable for smaller pups. If you're looking for the perfect fit for a small dog, then walk this way! Designed with little guys in mind, The Four Paws Comfort Control Harnesses come in a variety of sizes to make sure you find your perfect proportions. 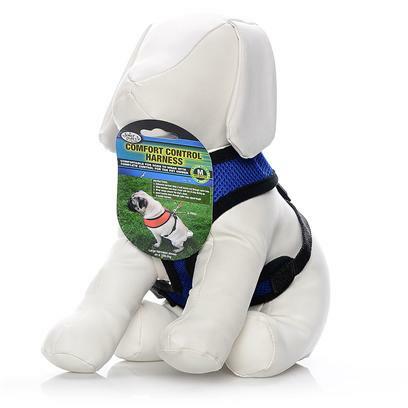 Dogs weighing from 3 to 40 pounds have a harness just for them, with adjustable nylon straps to ensure a snug fit. The Four Paws Comfort Control Harness gives you complete control over your walk but won't constrict or pinch your smaller dog. The harness is ideal for guiding your pup on a leash and is made from a soft neoprene material that's also breathable for true comfort. Follow instructions on packaging to secure dog comfortably.